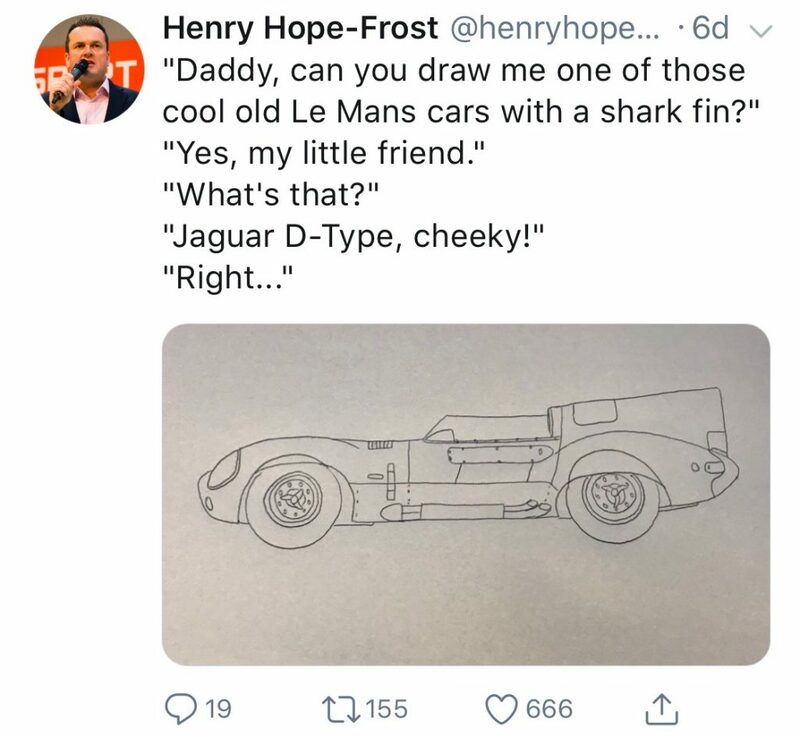 Created to celebrate the life of Henry Hope-Frost (1970-2018). Commentator at Goodwood and popular Historic Motor Sport aficionado. The Fever captures Henry’s most recent drawing he personally sketched for his son. 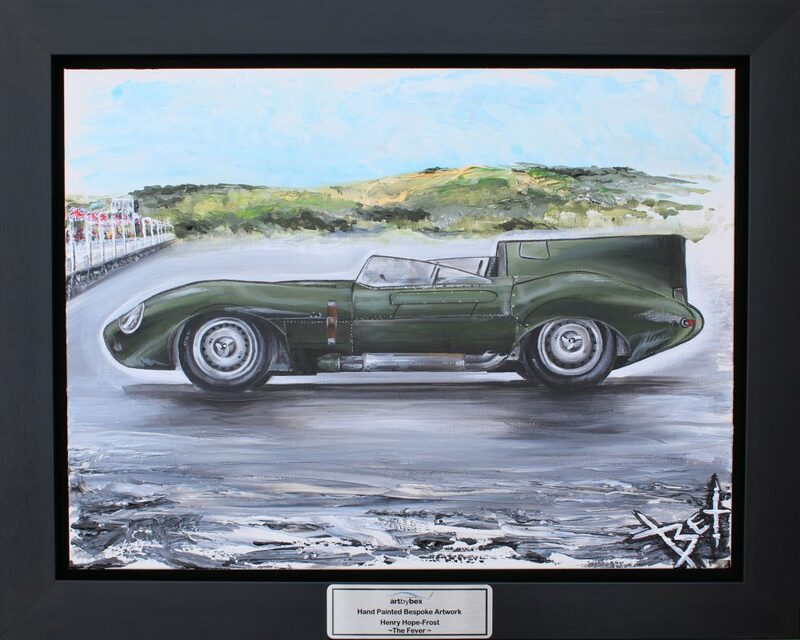 This Jaguar D-type, in British Racing Green embodies that sketch, featuring Goodwood, his favourite track. 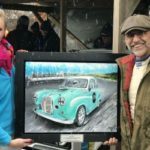 My bespoke painting re-creates the ‘Fever’ that Henry lived and loved. 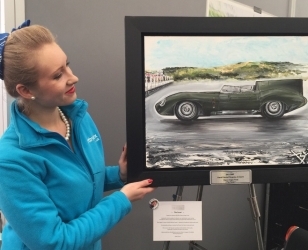 This ‘One off’ bespoke painting was auctioned in Bonhams at Goodwood 76th Members Meet.